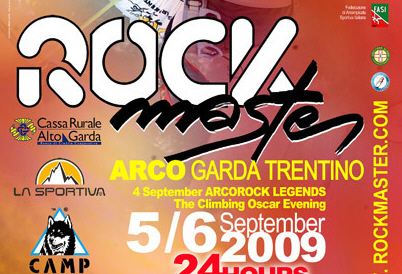 This weekend the 23rd Arco Rock Master competition in Lake Garda, Trentino, Italy will feature some of the world’s best climbers competing in lead, duel, bouldering and speed climbing invite only competitions. Competing in the “Sint Roc Boulder Contest” as the sole representative for the United States will be Wisconsin’s very own Alex Johnson. Scheduled for 2:00 pm local time this Sunday (7:00 am CST), the women’s bouldering contest features a select group of the world’s strongest female boulderers. Based on the way Johnson floated up the hardest boulder problems at my local gym the other night she looks to be in good form…at least on V7s. As a bonus, it looks like some sort of live coverage of the event will be done beginning tomorrow at this link. It remains to be seen if this means live video or just live results. Check in tomorrow to find out. 21.00 – Casinò Municipale di Arco – Award’s ceremony Arco Rock Legends. Host Kay Rush will present the athletes nominated for the Arco Rock Legends Award and announce the winners of the Salewa Rock Award and La Sportiva Competition Award. During the celebration there will also be time for the official presentation of the logo and film introducing the ISFC World Climbing Championship, scheduled to take place in Arco in July 2011. Update: Johnson took 4th place. live as in live stream! i remember watching last year’s lead event online. Sweet, I would assume this year would be more of the same then. This is an interesting dilemma that will only get worse as time goes by. Since the female AJ was here first I think she has dibs. I’ve always been partial to calling him “D” Alex Johnson. I call him steroids. Referring to how tall he grew in one year. He went from this little dude to this tall fucker. Just call him steroids folks. I think we should go with Falex and Malex. Do you know how she did in the comp? Leave a Reply to sweatpants Click here to cancel reply.